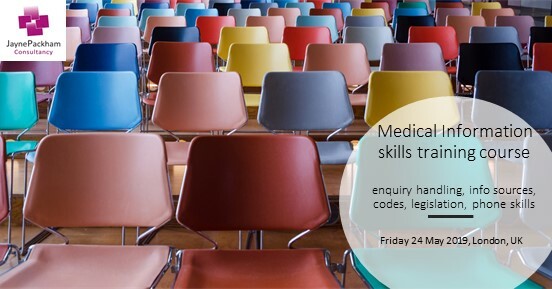 Due to special demand, we are running a one off Medical Information skills training course on Friday 24 May 2019 in central London. It will be a small tutorial style session looking at the principles of Medical Information, enquiry handling, sources of information, Codes and compliance. You can read more and book your place now. In August we are then running our ‘Using clinical data – searching, evaluating and writing’ course, again in London. If you can’t make the date, or prefer more independent study, we also have a range of online eLearning courses, which are supported by monthly Q&A webinars. Pick and choose your courses or buy one or both of our bundle packages to save money. Read more about the courses or download a quick summary. Courses can be purchased via our online shop.